Hidden away in a secluded corner of the luxurious Miami lifestyle, there is a private retreat of pure perfection that awaits you – The Harbour. 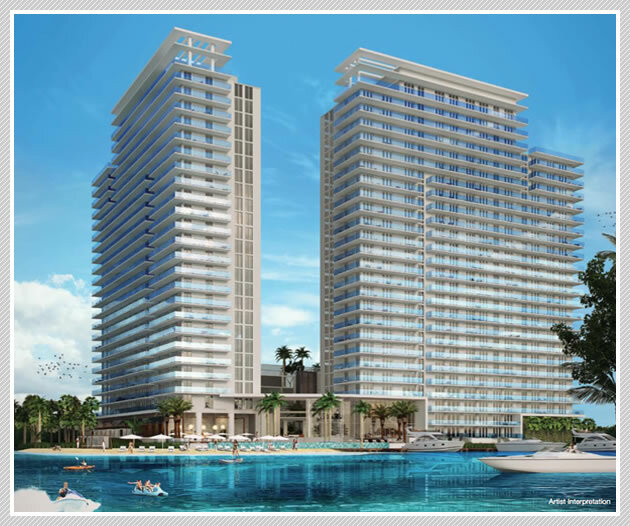 The Harbour is a new construction development consisting of luxury condominium residences spread across two towers. The project will boast spacious 1, 2 and 3 bedroom floor plans complete with den and with private elevators, 9 ft. ceilings, floor-to-ceiling windows, and spacious balconies with glass terraces that will show off stunning bay views. Sophisticated amenities will be plentiful and include a planned private marina and boat slips with bay and ocean access, an infinity-edge pool overlooking the bay, cabanas, a full-service private beach club and water club, an exclusive indoor/outdoor spa, a state-of-the-art fitness center, fun-filled kids areas, nature trails, sports courts and fields [basketball, tennis, racquetball, soccer], exclusive concierge services, gated entry, valet service, 24-hour security and video monitoring, lush landscaping throughout, and dozens of entertainment and relaxation areas. Two stunning 25-story towers rise out of a 4.5-acre waterfront paradise. 1, 2 and 3 bedroom residences, complete with dens, overlook Biscayne Bay, with vast expanses of protected park land, and gorgeous city skylines in the distance. Every residence at The Harbour has been expertly and thoughtfully designed to provide a complete luxury lifestyle within your private oasis. All residences feature open-concept floor plans for entertaining nd efficiency, expansive private balconies, and breathtaking views of the bay and the Miami skyline. All residences feature premium European-inspired gourmet kitchens, professional-grade appliance packages and European-inspired finishings throughout.